“A rose is a rose is a rose,” said Gertrude Stein in her 1913 poem titled Sacred Emily. There are many ways to interpret the meaning of this statement, especially if you’re into dissecting American avant-garde poetry. But I like to think that Stein was saying things are what they are even if they are as magnificent as a rose. Later, in Alphabets and Birthdays, she says, “A rose tree is a rose tree is a rose tree if watered.” I’ve never actually read Alphabets and Birthdays, but I’d like to interpret this to suppose that with the correct care one can create their heart’s desire. An expert is an expert is an expert if practiced. 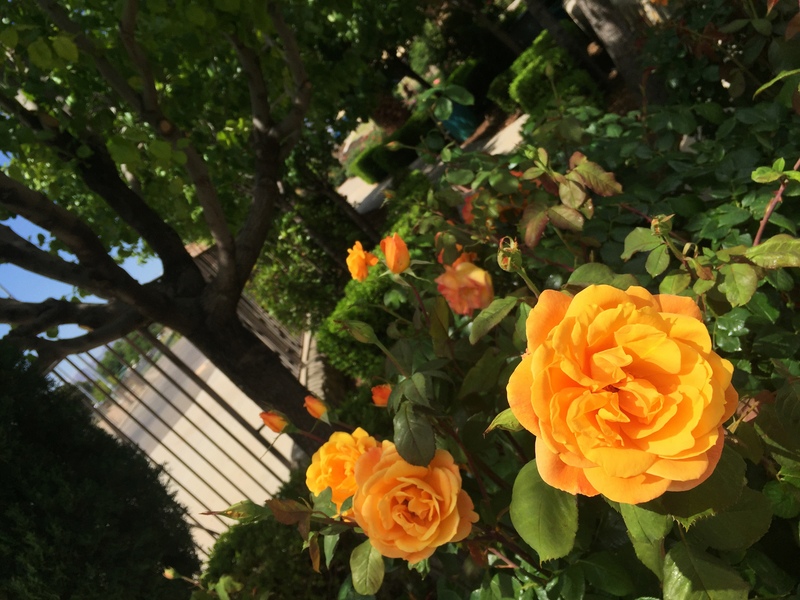 And the volunteers of the El Paso Rose Society are experts at maintaining this garden of roses and watering those rose trees. 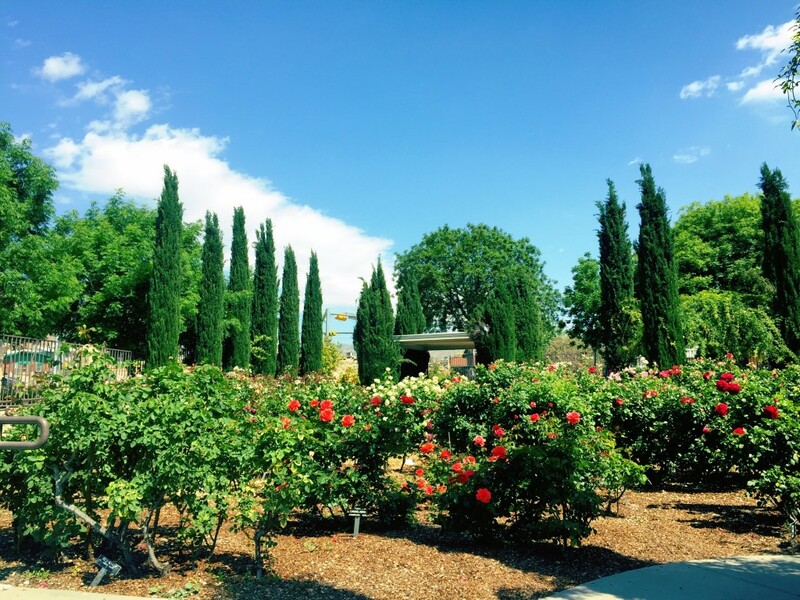 I had the pleasure of strolling through the El Paso Rose Garden one day this past week. 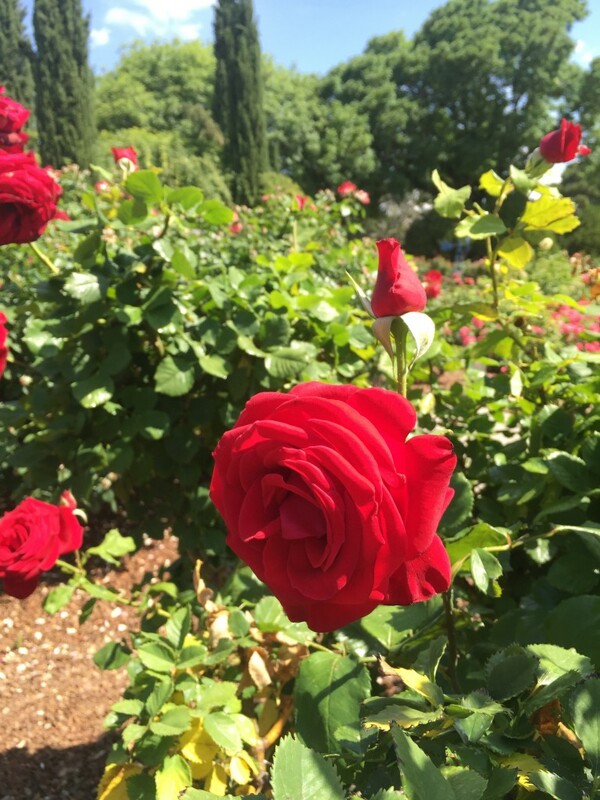 It was four acres of flora delight, with over 1400 rose bushes of more than 300 varieties. Roses have the greatest names. I never knew. My favorites were Matterhorn, Song of Paris, Mister Lincoln, Carefree Wonder, and Mt. Shasta. Oh, but my favorite miniature rose was the Arizona Sunset. To me it looks more like a Tequila Sunrise. But maybe the person that named this variety wasn’t a drinker…or fan of the Eagles. But what’s in a name? That which we call a rose by any other name would smell as sweet. William Shakespeare. I know that was pretty cheesy, but I couldn’t help myself. Walking through the garden I could almost pretend I was back in Europe. Well, at least until the 1996 Chevy Corsica drove by blasting hits that, from the sound of the bass, were also from 1996. I’m pretty sure that only Americans drive through the streets with their music loud enough for the entire city to hear. It’s one of the tragically charming traits we possess. I was only in the garden for about 40 minutes, as I can no longer stand for much longer periods of time than that because I’m pregnant and I’m tired and hungry and I have to pee. But there was an impressive amount of activity in that time. There were joggers, amateur photographers, old ladies walking (faster than me I might add) wearing their visors and capri pants, and high school kids hanging out on their lunch break. It was charming to see so many different members of the community enjoying this beautiful piece of land together. There were gorgeous bird songs covering every inch of the territory, adding to the enchantment of the moment. It was all I could hear save for the occasional rustling of the leaves on the trees when a breeze came through. Oh, and also except for the obnoxious car that drove by. 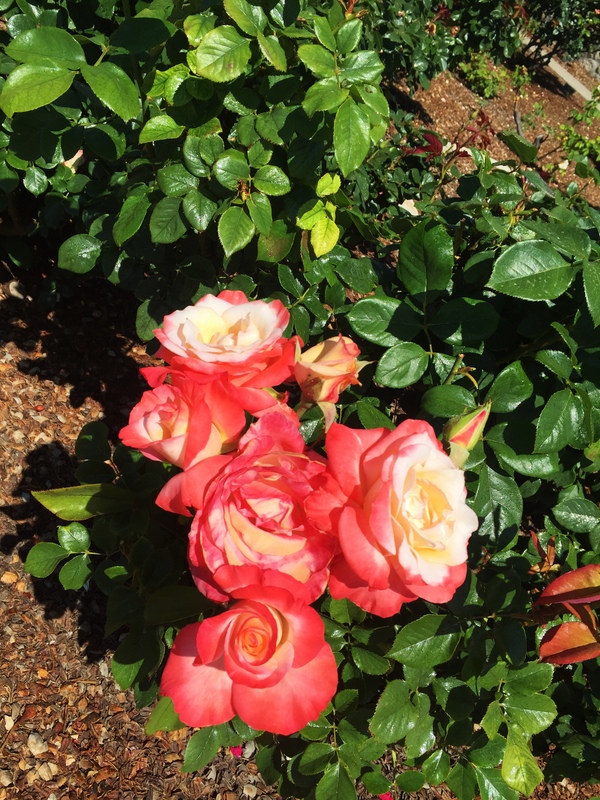 Did you know that the rose is thought to be 35 million years old? Pretty impressive, right? It’s no wonder that it’s the most popular flower in the world. It’s had a long time to perfect its look. An entire garden of this kind of brilliance is more pleasure than the human eye was developed to process. 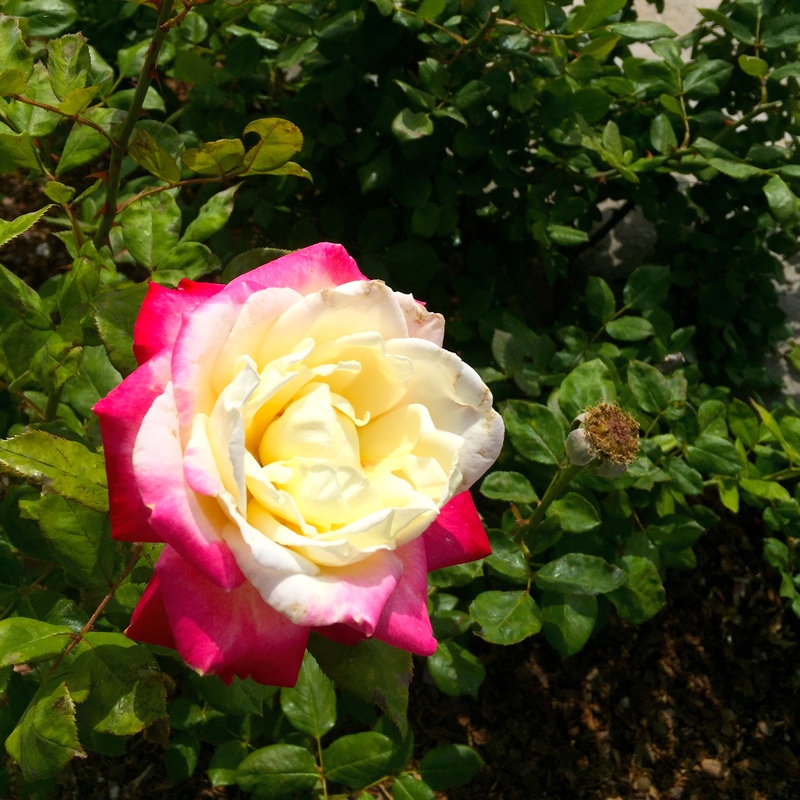 The oldest rose fossils were found in Colorado. If something is “under the rose” the apparent meaning is that this something is a secret. I hope you enjoyed this caption of my trip to the garden. No doubt you’re happy to read that I am off the couch and exploring my new city. 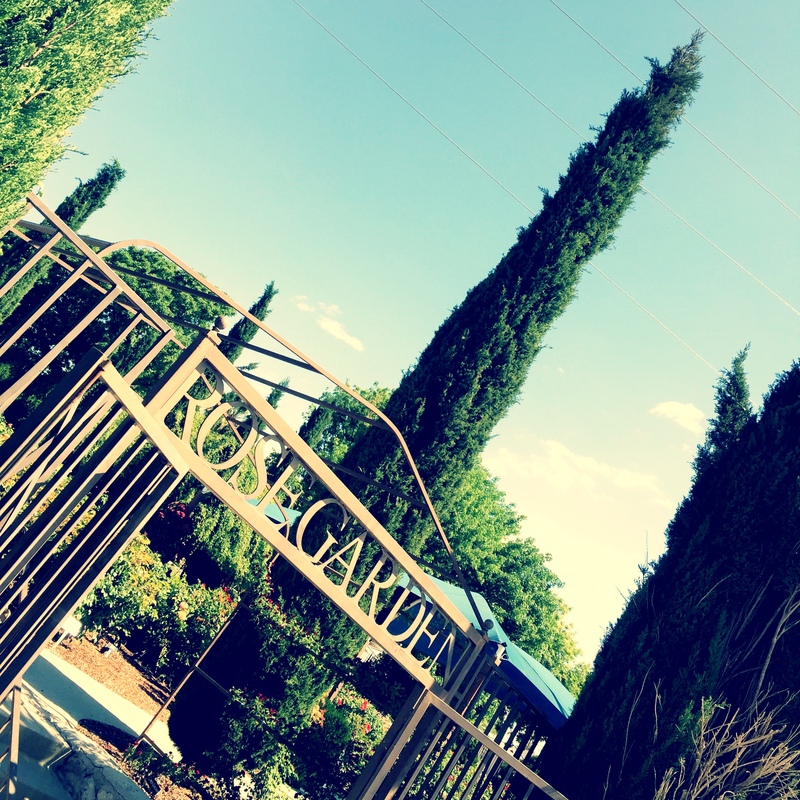 If you’re interested the garden is located at 1702 North Copia St, El Paso. It is open daily from March through October. 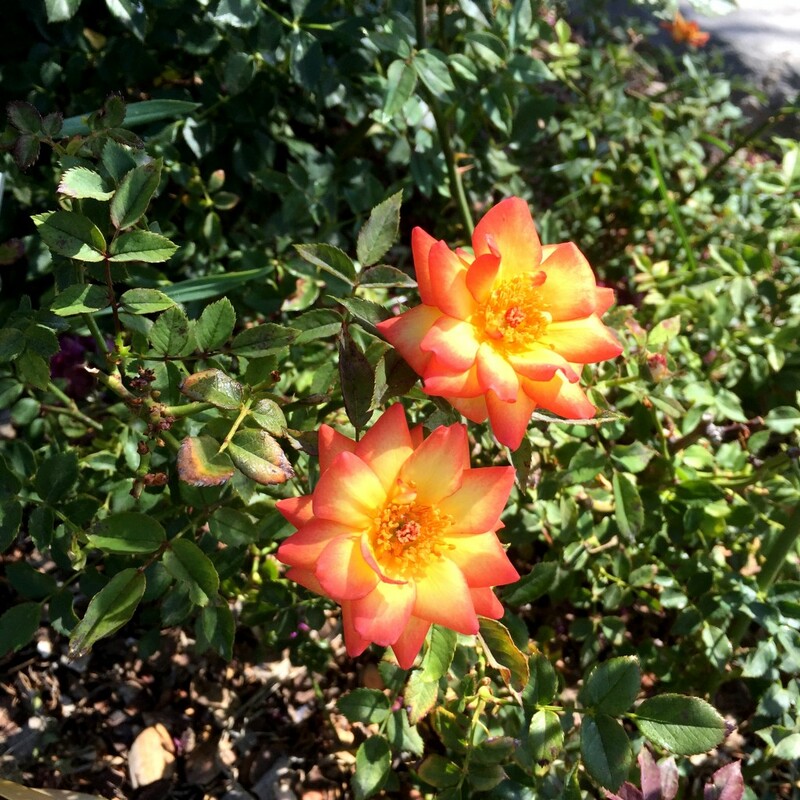 This entry was posted in Community, Texas, Travels, Uncategorized and tagged El Paso Rose Garden, flower photography, Roses, Shakespeare, Stein.